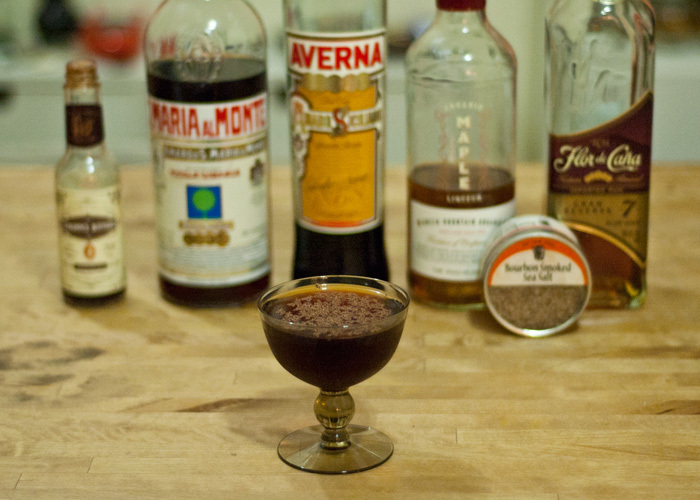 This drink was fully inspired by the Vosges Black Salt Caramel Chocolate Bar. My girlfriend and I ate it, then we thought, “How close can we get to this in a drink?” Well, with the ingredients on hand, this was as close as I could get. It’s pretty fabulous. Not terribly sweet, nice and dark, and the two Amari make things interesting. Bonus: Bourbon Smoked Sea Salt is always the best. Yesterday, the new D’Angelo record Black Messiah came out and oh my god, CANNOT STOP LISTENING. It’s so damn funky and D’Angelo just totally rules on vocals. I mean, he always rules, but the Lordt knoweth, he totally owns. Fabulous. 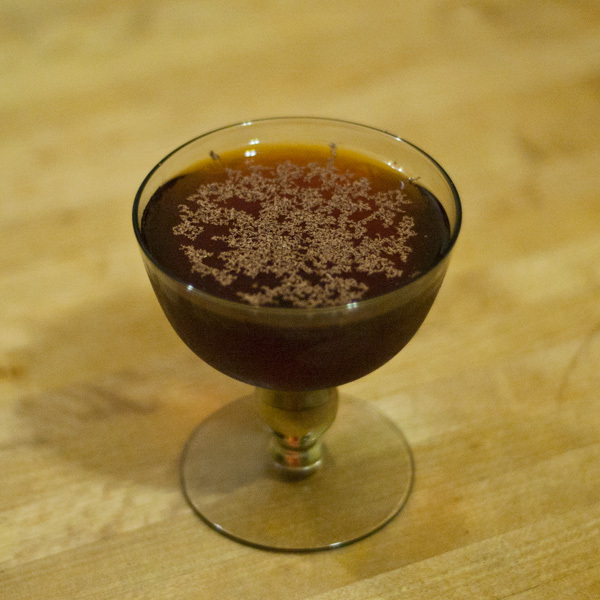 We named this drink after one of his songs, Devil’s Pie. Combine ingredients over ice and stir. Strain into coupe, shave dark Chocolate on top.